Firefly Cove Condo | Premier Gated Community | Views Of Lake; pool, boats & more! Property 13: Firefly Cove Condo | Premier Gated Community | Views Of Lake; pool, boats & more! Property 14: Abbey Green | 10 Minutes to TIEC | Cleghorn Efficiency Condo; CONVENIENT! 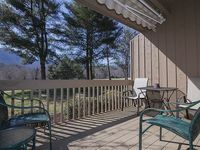 Property 15: 'Green Willow Suite' - 12 Minutes to Lake Lure! Property 17: Raspberry Hill | Modern Mountain Hideaway | Secluded on 10 Acres! Property 18: The Chimney Rock Get-A-Way! Property 19: Clegwood Townhome | 8 Minutes to TIEC | 45 Minutes to Asheville; golf & more! Property 22: Amorosa Vista; Close to TIEC, luxurious Cleghorn Plantation, convenient to everything! Property 25: The Bears Den is apartment in the heart of Chimney Rock. Fairway Villa #1406 welcomes you with all it s convenience! Property 33: Fairway Villa #1406 welcomes you with all it s convenience! Fairway Villa 302 Enjoy relaxing views! Property 45: Fairway Villa 302 Enjoy relaxing views! Fairway Villa 306; Relax with the beauty of Rumbling Bald Mountain! Property 50: Fairway Villa 306; Relax with the beauty of Rumbling Bald Mountain! 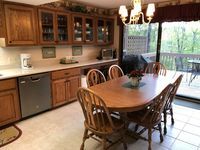 Perfect set up and location for four golfers.Everything as advertised and instructions provided were easy to follow.Property is right on the 1st fairway of Bald Mountain course so you can sit and watch others play from the porch. Would rent again. We had a great time spending New Years in Runbling Bald. It was a beautiful area and the condo was great! !